The lot purchased by a homeowner might be seemingly impossible – clinging to a sheer cliff, squeezing into tight spaces, or consisting of an odd geometric shape – but by god, architects will find a solution. 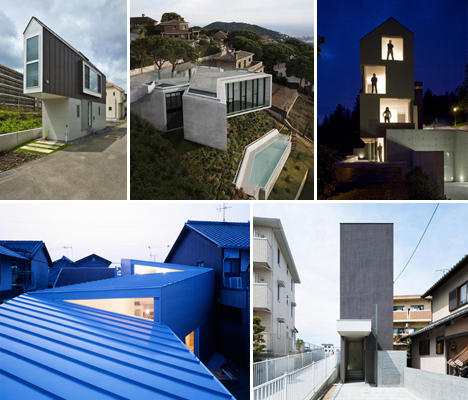 Whether by building up from a postage-stamp-sized property, zig-zagging a house between its neighbors or designing a home in the shape of a giant X, architecture firms have found ways to use seemingly undesirable spaces, leading to some very unusual and imaginative residences. 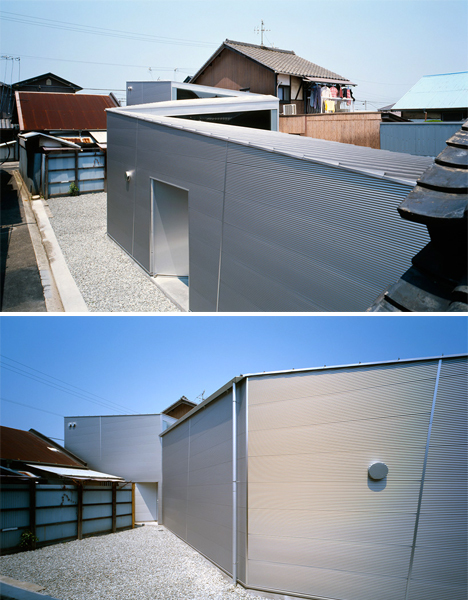 To most people, it wouldn’t seem like there was actually room for a new house in this extremely narrow, oddly-shaped space between several other residences. But in Japan, every square inch counts. 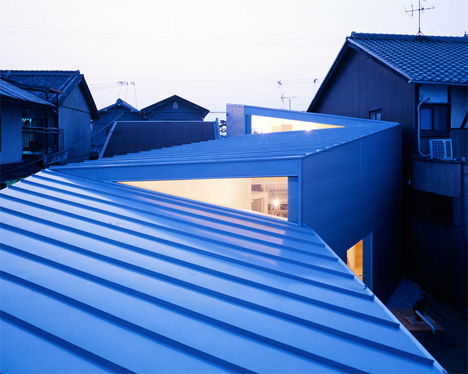 Alphaville architects came up with a novel approach: a zig-zagging house that might skim its neighbors by mere inches in some spots, but still manages to feel private inside thanks to very careful placement of windows and courtyards. 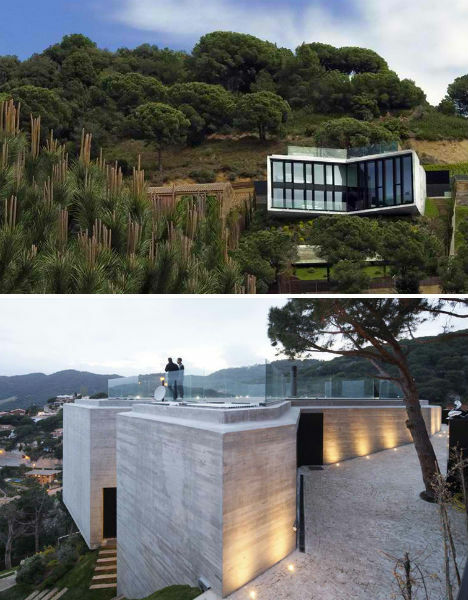 How do you build a house on a sheer cliff that has views on every side, but still feels private, and is virtually invisible from the street? Cadaval & Solá-Morales architects created a two-story, X-shaped residence that clings to the cliff, with the roof functioning as a driveway and terrace. 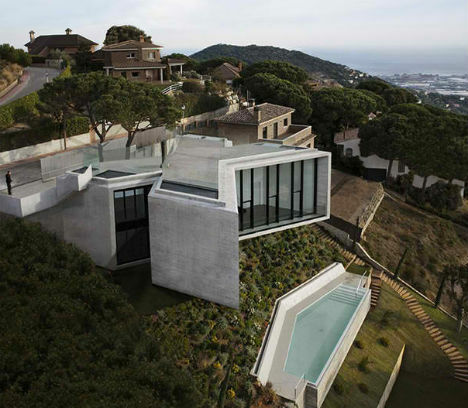 Each side of the home’s edge gets its own sweeping view of Barcelona without facing any of the neighbors. Incisions at the top and bottom of the ‘X’ let in light while maintaining that privacy. 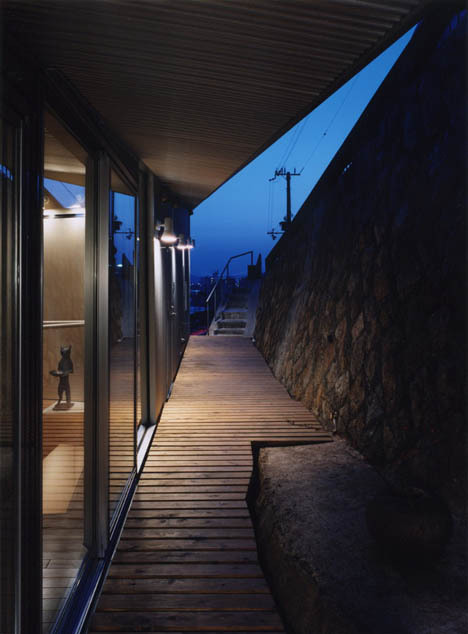 The slightest wedge of a lot on a rocky cliff gave way to this narrow, sloping house by Shuhei Endo. The triangular lot was confined by a Y-shaped intersection and several other residences, and gets as narrow as 5 feet at some points. Tucking the home beside the retaining wall anchors it, and a narrow space between the wall and the home provides a light-filled, private outdoor space with architectural interest. The strip of land this oceanfront cabin is built upon is hardly larger than a parking spot. 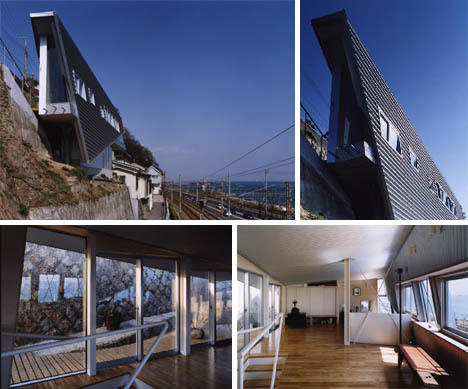 But owner of that land wanted Yasutaka Yoshimura Architects to create a relaxing weekend getaway overlooking Sagami Bay, with views of Mount Fuji in the distance. 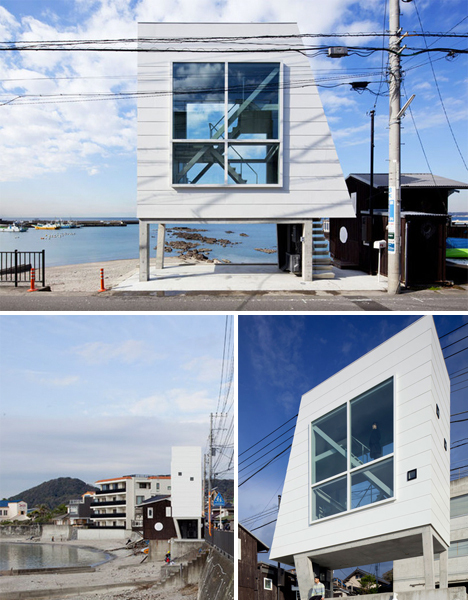 The result is ‘Window House,’ a slim residence built on steel poles to protect it from storm surges and enable those stunning views. The interior features staggered lofts accessible by stairs and ladders. 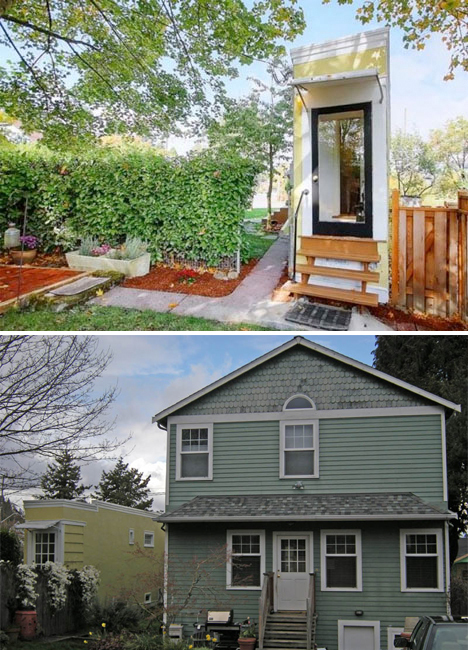 The Seattle Spite House was built on a pie-shaped piece of land adjacent to a larger home, and gets so narrow at one end that it’s hard to open the oven door all the way. The story goes that it was built in 1925 out of spite because the tiny, odd-shaped lot was all that was given to a wife in a contentious divorce, and she was determined to make the most of it. The home sold for nearly $400K in 2013.